This saying inspires me! It makes me want to be a better person–live from my heart and share from my heart. What more could I ever wish for but that something I write or share will touch or help heal another soul. Oh you see, this writing is all bound up in my own heart and soul. I was a psychologist professionally–a person who longed to help heal and to heal in my own journey through life. Then heart disease sneaked up on me and ZAP! –took me right out of my life as I knew it! For years, my physical heart, this engine of life, took control and defined my life as I struggled to redefine myself. It started with a spiritual journey that continues today, giving rise to my desire to share about angels and other spiritual experiences. I wasn’t expected to live long, so I felt in a hurry to live! Passion–I decided to live with passion–passion for the things I loved to do! Writing is one of those things, as is gardening and most of all genealogy! I’ve lived 17 years! 17 years –as a totally unexpected gift! –a three grandchildren gift! Who knew? 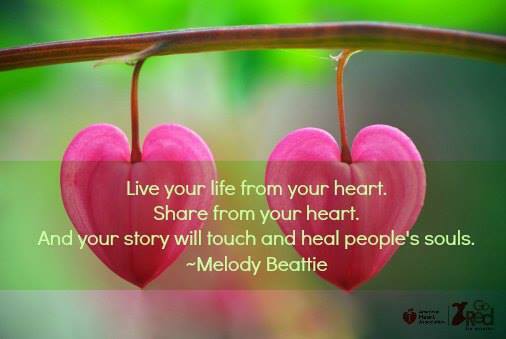 Stories–people–family–they are my passion, and what I want to share with you–straight from my heart to your soul! My husband Max, now husband of 45 years, honored me by dedicating a song to me that makes me cry! But it also speaks volumes as to why I am still here, living, and able to share. Thank you my precious love of my life! And thank you my friends and family, and friends to be– who read my blog and share your ideas and thoughts with me, thank you! The music combined with the reading made me feel such an emotion in my heart, it almost came to tears. Outstanding ! Thank you so very much! Your reaction, shared, definitely warms my heart! Dear Helen, my sister Judy found your site and sent me the link. We are descended from Maurice Langhorne (1719 1791 who married Elizabeth Trottter) and are interested in knowing more about the early relatives in Virginia. I am Edyth C O’Neill age 83 living in Central Texas, Through Maurice we are kin to Henry Cary the builder in Williamsburg and through this Henry, possibly even Henry VIII through the children of Henry’s wife’s sister. (horrors what a terrible ancestor!) That I can go into with you later if you are interested. At present I am sticking to the family on this side of the pond. Of interest is the claim in the material I have found, that the present Queen of England also traces her lineage to the children of the sister of Henry’s queen Ann Boleyn and thus to Henry himself as he bedded both sisters. I will now go try to order the book on the Langhornes of Virginia, and am anxious to read more of what you have written. The photograph in your blog of a portrait of Maurice Scarsbrook Langhorne looks like a civil war era photograph, what was his date again? Not 1719 as I read? I will re read this. I am missing something? Photographs were not made before the mid 1800’s Best wishes from your Cousin Edyth I hope you will have time to contact me personally . Dear Edyth C. O’Neill and sister Judy! I am thrilled to hear from you1 I will email you in just a moment. Thank you so much for leaving this message. By the way, I believe that is a photo of a portrait of Maurice Langhorne, 1719, I have taken photos of many portraits myself to post on ancestry, althugh I did not take this one! Thanks for commenting and following my blog. As to the Ernst line, there are six parts, I do have another possible collateral line (I think a brother of Lewis Ernst, 1821-1875). I have been looking for his father and on back, but haven’t found anything yet. Lewis was born in Germany, and I haven’t found his port of entry, although i suspect it’s New York. The other posts are either in the archives or just further up or down on the blog. This is one my present spouse’s ex’s line. It’s possible there’s a connection to your cousin’s Ernst line, I’d have to see some of the data first. Most of the Ernsts I’ve got are farmers in Illinois and Iowa. My spouse is also a descendant of Margaret Beaufort, Henry II of England and Charlemagne. All the best. Don’t have anything on ancestry, out of my reach right now. You can email me at lineagehuntergenealogy@gmail.com. You can have Karen email me there as well. I have stopped adding people to any of the online trees, especially the ones that allow others to change things. I got fed up with repairing things when I’ve spent uncounted hours researching to make sure my information is correct then some unknown person goes and undoes the hard work with the garbage I spent time researching to get rid of. Too bleeding frustrating. I’d love a subscription to ancestry but I’m in no position to fork over that amount of money, maybe in the near future. Thanks for the information Aquila. I am so addicted to ancestry I don’t know what I would do w/out it! LOL sad I know! I agree you don’t want others changing your tree! Alerting you to errors is fine, but don’t change my work! LOL I am lucky that I just found out that AARP members save 30%! It helps. You do great w/out them, so that’s great! Hi Celeste! So hapy to meet you! –and so very glad you found me! I love my Spangler cousins, and it just so happens I have Nichols cousins as well! I know some Paynes, but not sure how they relate. I can hardly wait to get our reltionship sraight! In fact, I checked my family tree where I had both Rufus and Bertha, and added Iris and you, hope that’s okay! When I run your and my relationship, it says we are 1st cousins, 4x removed of the husband of my great grand aunt (Fannie spangler-Tump’s mother! LOL I think that means we are related by marriage! Hey I’ll take it, and I would love to hear your stories!You can email me at helenholshouser@gmail.com So happy you wrote, and looking forward to hearing more from you! Helen, we are ninth or tenth cousins down from our Niew Netherland gateway ancestral couple, Hendrick Jansen Spier and Magdaleen Van Swol. I enjoyed your blog narrative of the colony’s founding, and of her personal familial and marital history here. Being a descendent, via my father’s patrilineal line, from their second daughter Zeytje Spier (b. 1655) and her first husband Hendrick Hendrickson van Rijn (from the Rhineland; whose surname in the next generation changed to Bruyn, then by circa 1750 to Brown), I do alert you to the error of your “1679” date of death for her–likely inadvertent, as you comment that in that year her mother Magdaleen lost both her young son Abraham and her husband Hendrick Spier, but you do not mention Zeytje. Zeytje Spier born 1655 did not die at age 22 in 1679, but in the next decades bore several children (e.g., my ancestor Johannes Bruyn, Sr. who married Rebecca van den Boogh, niece of NYC Mayor Wilhelmus Beeckman’s wife nee Catalinje de Boogh who with Beeckman ancestored many US history celebrities –e.g., US Presidents Martin Van Buren, Franklin Delano Roosevelt [and wife Eleanor] and the Georges Bush, Declaration of Independence signer and Committee of Five member Robert Livingston, and Astors)–and Zeytje outlived her first husband, to remarry circa 1700 a Poulus Doweson. P.S. Elsewhere I have read that Zeytje Spier’s “brothers” founded “Speertown” in Essex County NJ, which today is Upper Montclair (the rest of Montclair having begun as the English colony Cranetown). Helen, as you descend from Zeytje’s brother Johannes Spier, do you know if he was one such founder of Speertown? And which other brothers were? P.P.S. I once read that pop singer David Cassidy’s mother descends from the Niew Netherland Spiers. How wonderful to meet you! I love to find cousins whom I didn’t know before! Thanks also for catching my mistake in the death date of Zeytie! i will fix it immediately! Please feel free to email me at helenholshouser@gmail.com, i would love to get to know you. I am going to look at what i have on Speertown and come back. I think I have another cousin who went there for a visit! The Speers of Speertown, New Jersey who Were Among the Descendants of Hendrick Jansen and Madeline Spiers …author: Jane Norman Smith, published 1946, 30 pages. Elsewhere I find many citations that say John Speer, son of Hendrick Jansen and Madeline Spiers was the main founder of Speerstown, which is part of upper Montclair, NJ at this time. His stone house still stands I read. A cousin of mine f=visited that stone house, about 20 years ago now–I had not realized it had been that long. He is now deceased, and his children cannot tell me more detailed history. I recently learned I am a direct descendent of Christopher Newport. Another family member is working with a researcher and sent this and other information. I’ve been looking into it further for my own interest and came across your blog. Would you mind sharing your research methods associated with the Jamestown Historical Society? I admire your depth of research, finding such detailed stories. It really makes history come alive and your ancestors very real. Helen, this doesn’t disappoint in the least! Coffee’s on and I’m really excited to read the rest of your blog entries today. I’ll be in touch. So much respect for you! You’re very strong woman Helen! I’m glad I’ve found your blog! Dear Helen, I was delighted when I stumbled upon your blog. I am descended from Robert Hogg, born 1721 in Scotland, married to Letitia. I have not done any DNA testing yet, but am considering it. Congrats on all your research, and I LOVE the flying pig! P.S. beautiful song your husband chose. Hi cousin! So glad to see you here, and thrilled that you are enjoying the family stories! Feel free to write me at helenholshouser@gmail.com Thanks. Hello Helen My sister Pam tells me that we share some DNA in our ancestry. I am the eldest sibling of a family of 7. Jenny Green is my youngest sister..
volumes of their ancestry – Michael, Sr., Jacob. Sr. , Margaret, Mary, Barbara and Peter, some 35,000 total descendants. These volumes are all with the Genealogical Society of Rowan County in Salisbury. You might be interested in viewing them. I may have been in contact with you several years ago, but am not sure. I corresponded with a Helen Holshouser. To my knowledge, she never published any of her work, and I remember she had everybody recorded on index cards.